It feels so good to be back from my blogging break! Just so you know, I will start getting busy with all the paperwork for grad school, so I'll be taking it slow with the blog. Hopefully, I will start grad school on August 2014. Wish me luck!! My first eBook is here!! YAY! In this eBook, you will find delicious recipes, fun and easy crafts, memorable gift ideas, inspiring new traditions, and even Holiday fashion tips! This eBook is a collaboration with some of my blogger friends: Katie from Clarks Condensed, Heather from Hezzi-D's Books and Cooks, Brenna from Life After Laundry, Cassie from Southeast by Midwest, Julie from Confessions of a Cooking Diva, and Katelyn from What's up Fagans?. Check out their blogs, I'm sure you'll love them! The book is available in different formats for your convenience, at Smashwords. It is also available on Amazon! If you are following me on my Facebook page, you'll get a code to download it for FREE until December 2nd, 2013. So hurry! Get your free copy now! "In the beginning of 2013, Brenna Turner asked a group of different bloggers that had attended a blog conference together if they would like to create a small blogger support group. Quickly, several bloggers jumped on the opportunity, and within hours the group, Some Blogger Love, was created. Most of these bloggers had blogs from totally different genres – beauty, health, food, and crafts, but together they found a great place to talk about blogging, life, family, and everything in between. Through those conversations, they became more than just a blogging support group, but friends. In early September, several of them decided to put together their different areas of expertise and create an eBook about something they all had in common – a love for Christmas. This eBook was created using all the different talents of the women from Some Blogger Love to hopefully bring people around the world new and fun ways to celebrate Christmas. 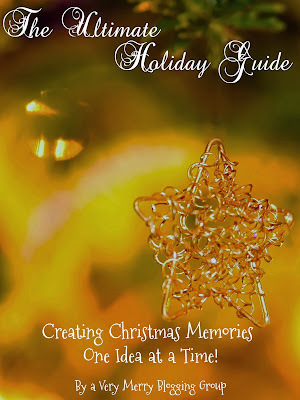 Throughout this eBook, delicious recipes, festive crafts, memorable traditions, creative gift ideas, and even holiday beauty tips can be found. Each of the ideas in this book shares a little bit behind the blogger who wrote it. As such, each entry has a different twist on them, but hopefully will help anyone who reads this book find a new way to make their holiday season a little brighter." Be sure to come back to tell me what you think about the book! Oh, and be sure to share this with your friends so they can get a free copy too. I'm so excited about our book! Your crafts included in it are awesome! Thanks Heather! It's such an honor to be in that eBook with you ladies :) All of your recipes are delicious! The book is so great and your craft is excellent and easy! Love it. Thanks Katelyn! I have to try your 25 Days of Christmas :) I loved everyones' projects! I got this yesterday and I'm looking forward to going through it towards the end of this week. Be sure to let us know what you think ;) Enjoy! Guess Who's Featured in All You Magazine? !